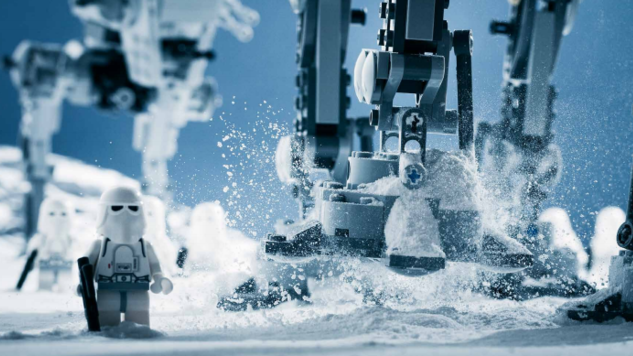 Vesa Lehtimäki elevates LEGO sets into breathtaking works of art with his new photography book, LEGO Star Wars: Small Scenes from a Big Galaxy. The book combines the creativity of the toy with the adventure of the Star Wars franchise, resulting in charming tableaus that will delight kids and adults alike. Lehtimäki first photographed some LEGO snowtroopers in the snow of his native Finland in 2009, later uploading the shots to Flickr. His photos quickly gained a devoted following, and the creators of The LEGO Movie even consulted him while they designed the “look” of the film. This week marks the release of Lehtimäki’s debut photography book with DK Publishing, combining his most popular images with never-before-seen shots. We gathered some of our favorite photos in the gallery, and you can learn more about the book here.